Borgata. Virgin. Betfair. Golden Nugget. These are the biggest names in the hyper-competitive and highly overpopulated online casino market of New Jersey. 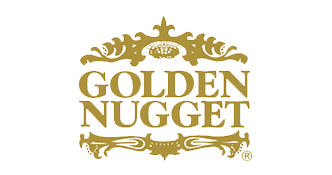 Today we will be putting Golden Nugget Online Casino on test to see if they live up to their name and if they deserve their status as one of NJ’s premier online casinos. As we just mentioned, Golden Nugget is widely considered to have one of the best gaming libraries in existence. All of the games found on GoldenNuggetCasino.com can be played in Fun Play setting, where there is no real money being used. The great thing about this mode is that players can sample as many games as they like, without any risk while also helping them find the games that best suit their preferences and playing styles. Golden Nugget also offers poker, spins, scratchers, jackpots and skill games. 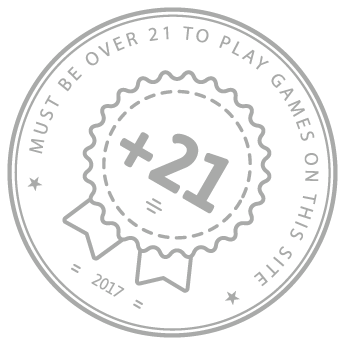 The numbers above are all approximates since the operator is known for regularly adding new games to their collection on a weekly basis. Golden Nugget changed the industry when they introduced the innovative concept of Live Dealer games. These games give players a taste of the atmosphere and excitement found in a real casino while offering them the convenience of not having to leave their homes. To add to the realism of live dealer games, Golden Nugget also introduced the Live Chat function, allowing players from across the globe to chat amongst each other in real time, mimicking the chat usually found on the casino floor among punters. With over 345 different slot titles available for players to choose from, Golden Nugget has the biggest variety in New Jersey. Blackjack fundis can enjoy 7 different games at Golden Nugget, with 6 of them making use of the traditional rule and 3 of the games have a $1 minimum. There are also micro limit games with minimum bets of $0.10 and $0.50. The ever-popular game of European Blackjack is also available. All new players who wish to register and create a profile on Golden Nugget get a free $20 No Deposit Bonus. You will also qualify for the 100% match of your first bonus of up to $1000. To access these bonuses players must meet the x40 wager requirement within 30 days. For the rest of the online games at Golden Nugget, a wagering requirement x200 exists. With over 200 games, the Golden Nugget mobile app has more games than most online casinos have on their full desktop site! While most of the mobile games are slots, the app also offers quite a few table, video poker, live dealer and keno games too. The app has a number of features which add immensely to its ease-of-use. These include the Bonus Tab, where all info regarding the player's bonus can be seen in a single glance and a Quick Deposit feature that allows for one-touch payments. While there are many great things about the app, there are also a few not-so-great things too. The menus take quite some time to load, the Live Dealer games are only available on smartphones and not tablets and finally, the associated loyalty program rewards are below par for the industry. Overall, it is perhaps the best mobile app for online gambling to ever exists and should be downloaded by all Android and iOS players as soon as they sign up. Golden Nugget’s huge games library has made it the biggest and most popular online casino in the state of New Jersey. The operator is well known for its rock-solid reputation and for offering players fun, stability and security. In short, Golden Nugget is the real deal. They offer a great selection of games, superb apps and great promos and bonuses. If you have not yet given them a go, we suggest you do and experience the 24-carat gaming for yourself.